Today I had a meeting with Rowan's preschool teacher, principal and speech therapist. It was to discuss his IEP and plans for Kindergarten. His teacher said he is very smart. He knows his letters, is sounding out words and has great fine motor skills. He can write his name and has made huge progress since I wrote this delayed post a year and a half ago. The part where she was concerned is that he has a hard time focusing and he still struggles in some areas where we've set goals. She thinks if we were to mainstream him completely, that it might be to his disadvantage. We decided that we are going to put him in small group kindergarten and mainstream him as they see fit. So basically he will go to his small group kindergarten and then will go to the mainstream classroom different times throughout the day with a teacher aide. He will go to the mainstream classroom more or less depending on how he does. He will start out primarily in the small group class though. The small group classes have less than 13 kids, this year they had 9. I really feel like this is the best avenue for Rowan and have to say how thankful I am to have early intervention. Having a child with delays has had it's challenges. 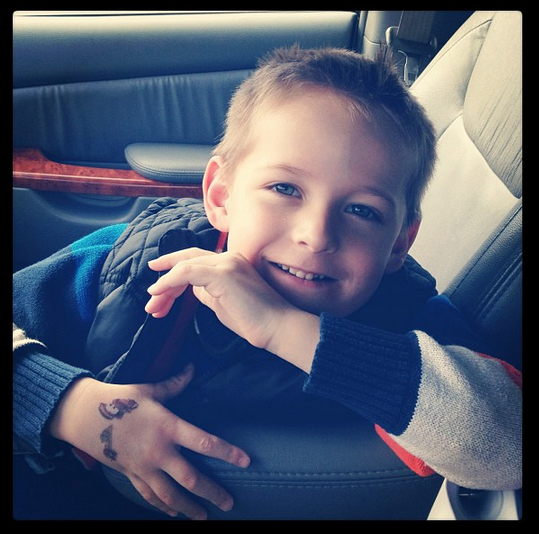 It's been challenging to me as a mom try not to compare my child to other kids his age. It's also been frustrating with communication and there have been times that I've envied moms who have kids that talk at 2, or even right before they turn 3. I've never known that. I think Heavenly Father knew that I needed to learn patience and unconditional love, so he gave me Rowan. I've learned love with both of my boys, but Rowan has taught me more than he'll ever know. He's such an amazing and beautiful little boy. He's my cuddle bug first thing in the morning, loves Transformers and imaginative play. He's healthy and active and perfect in his own way. I'm grateful for early intervention, that Heavenly Father answers prayers, and to live in one of the best school districts in the state. His teacher, teacher's aides, principal, speech therapist and bus drivers have all been wonderful to work with. I feel like they love my child and he loves going to school to see his teachers and friends. This does mean Rowan will go to a different school than Chandler, but I think Rowan will be bused. Hopefully their schedules don't clash too much with each other. I'm so glad he's made such great improvements! Its wonderful that you were able to get the intervention he's needed. He is such a cute boy. I'm glad things are working out well with Rowan and his schooling! That picture of him is darling.